We love matching Mother Daughter necklaces. It’s such a special gift to share with mom for Mother’s Day, a birthday present, Christmas gifts, or just because. What makes these matching Mother Daughter necklaces so very special, though, is that you can make them yourself! That’s right, these heart pendants are a DIY homemade craft that will mean so much more to mom! The beauty of these DIY matching mother daughter necklaces is that they just take a few easy craft supplies to make. 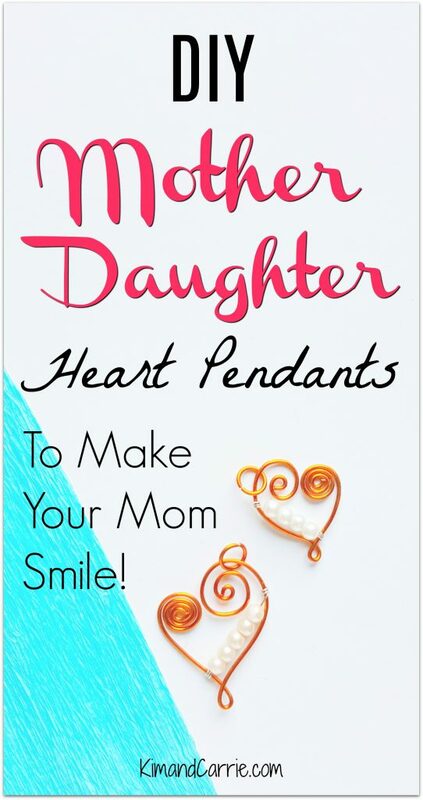 Following these step by step instructions with photos, you can make matching heart pendants for your mom, even if you have never made a necklace before! 1. 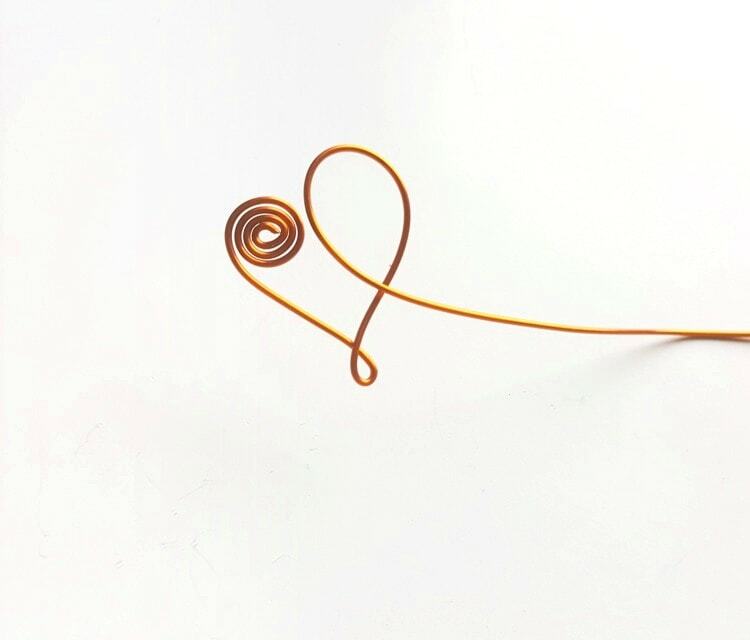 Hold the wire from an end without cutting it from the bundle. 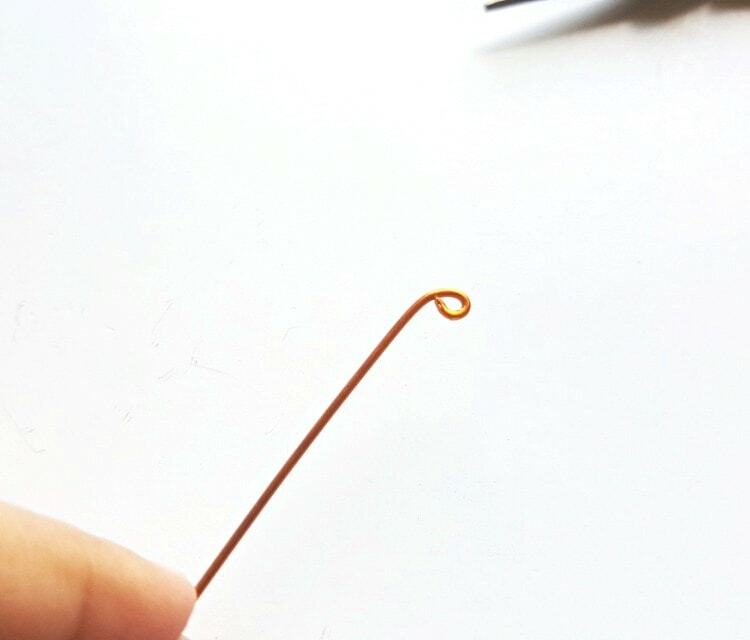 Create a small loop at the end using the looping pliers. 2. 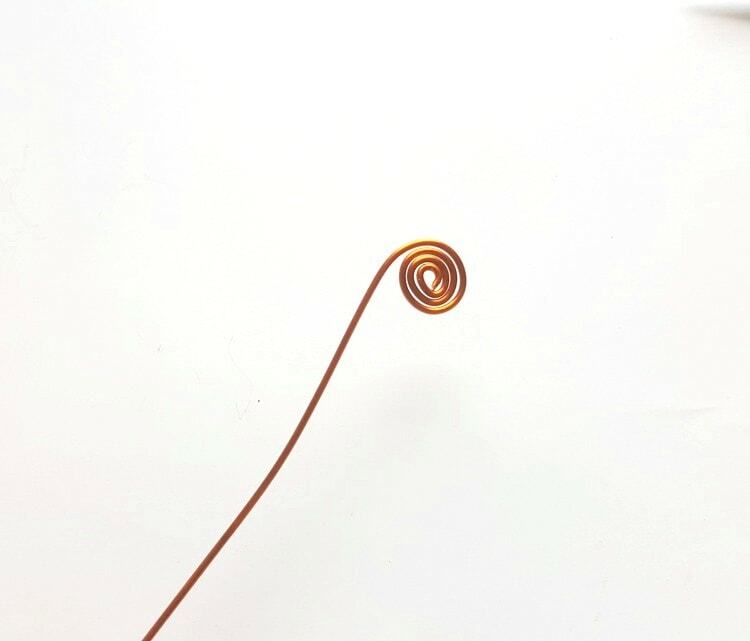 Circle the wire around the loop 3-4 times or as many times as you want to create a spiral twirl pattern. 3. Decide what size heart pendant you would like to make (the height and width of the top side of the heart); the height of the large pendant I created was 3cm and the width was 3.5 cm. Leave the wire straight (taking into account the measurement of the final height) and create a small loop. 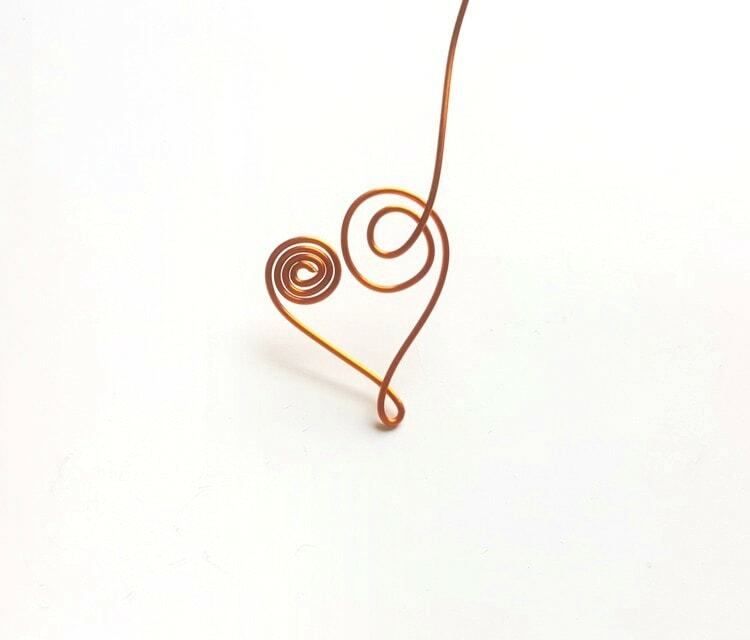 So, the entire measurement of the left side of the heart pendant shown below (from top of the spiral loop to the beginning of the next loop) is the final height that you want the pendant to be. Then bring the wire upwards to the right after creating the loop. 4. This time, create the outer circle of the other half of the heart of the top side of the heart pattern. 5. 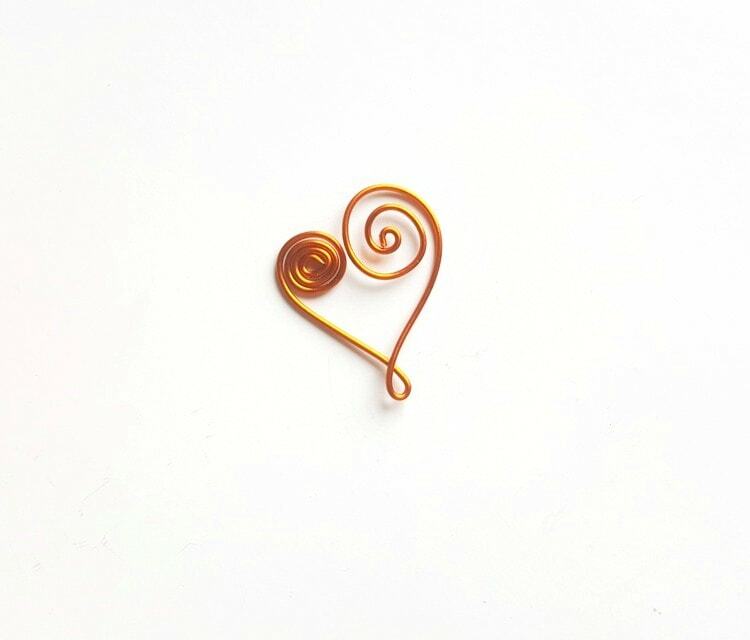 After creating the outer circle coil the wire inside the circle, coiling towards the center of the heart. 6. 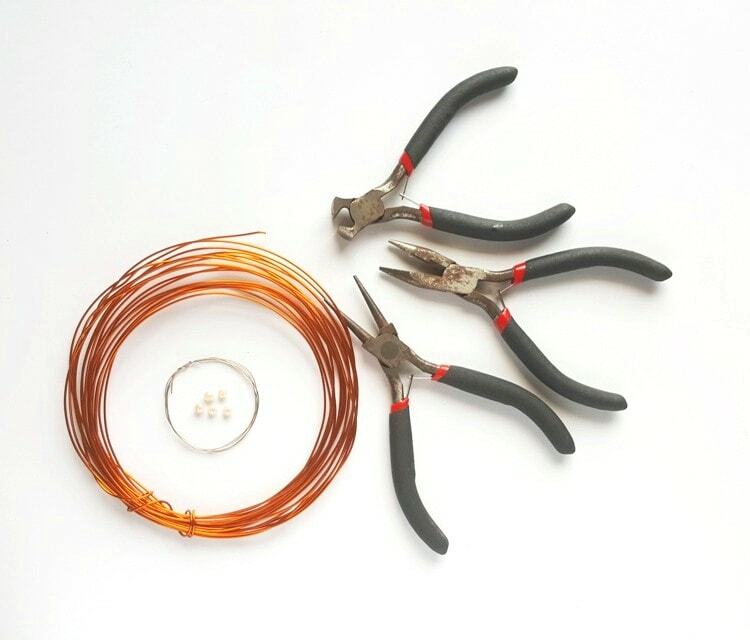 After reaching the center of the big loop, cut off the extra wire from the bundle of wire that you are working with. 7. 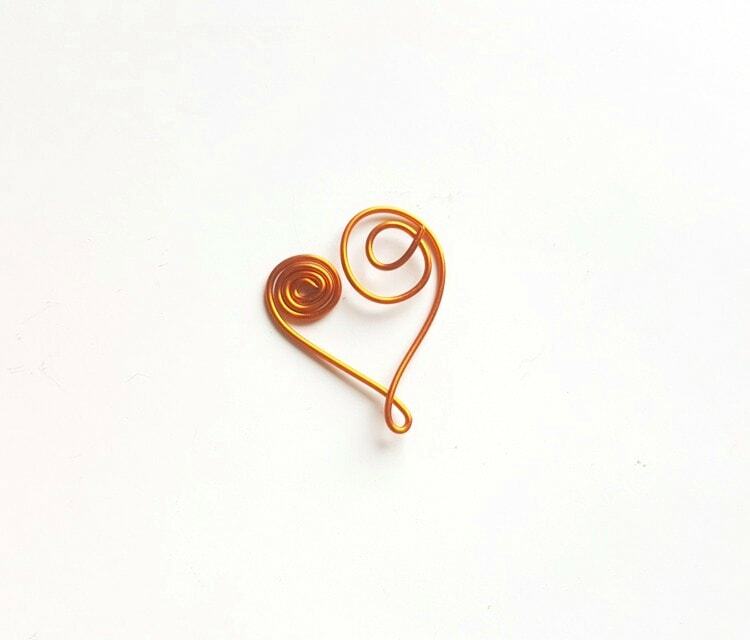 Create a small and neat loop to complete the current spiral twirl pattern of the heart. 8. 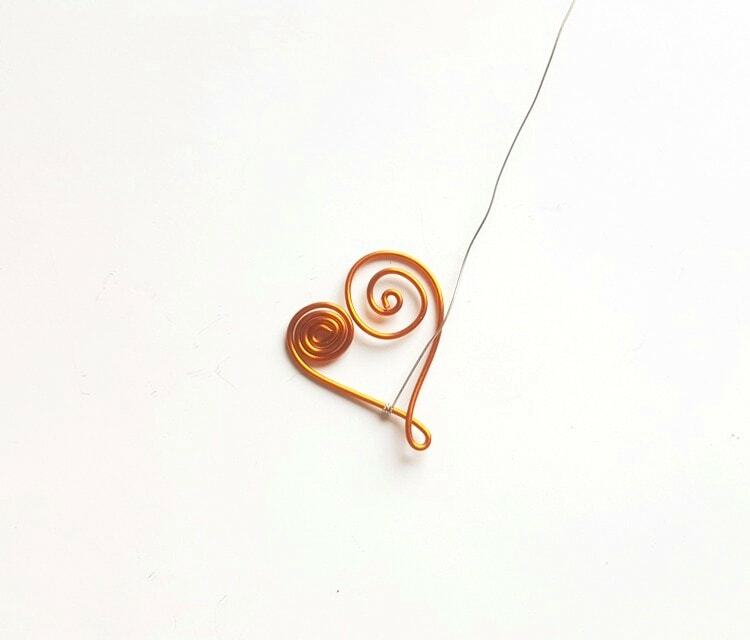 Take a small piece of 22 gauge wire (about 6 cm will do) and coil the wire 2 times around any one of the straight side bars, near the bottom loop of the heart pattern. 9. 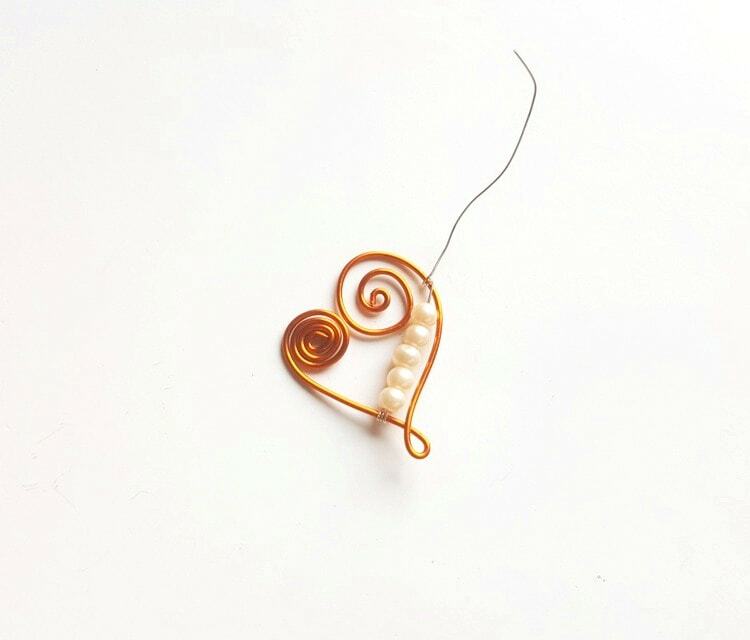 Insert pearl beads (or whatever beads you choose) onto the 22 gauge wire through its open end. 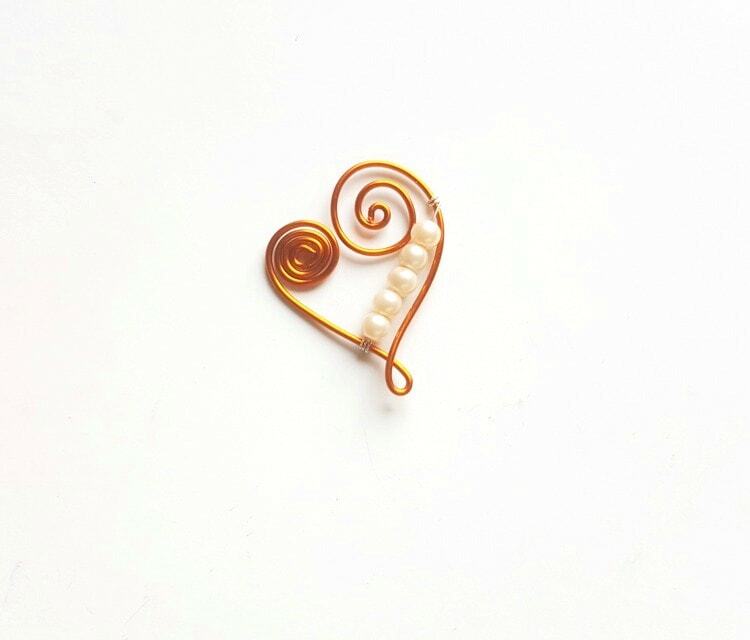 Insert beads until the beading reaches the twirl pattern on the opposite side of the coiled side bar. 10. 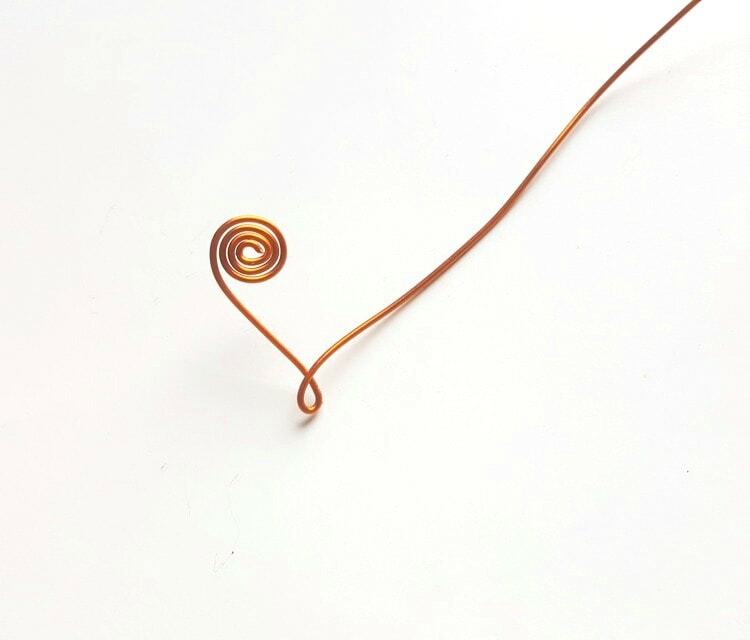 After reaching near the twirl pattern, coil the wire around the side bar adjacent to the twirl pattern. 11. Cut off extra wire after coiling the wire around the bar. 12. 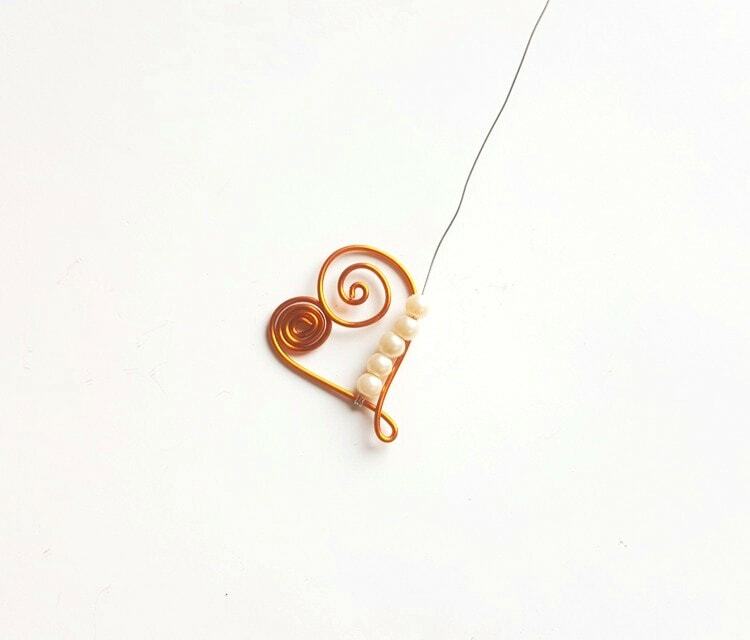 Attach a jump ring with the heart pattern to complete the pendant. 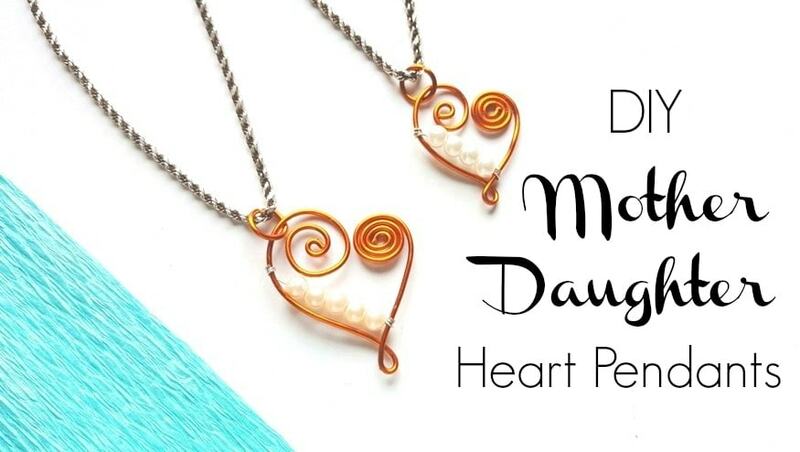 The wonderful thing about these DIY matching mother daughter necklaces is that you can customize the wire color and the beads of the heart pendant to whatever your mom or you like. 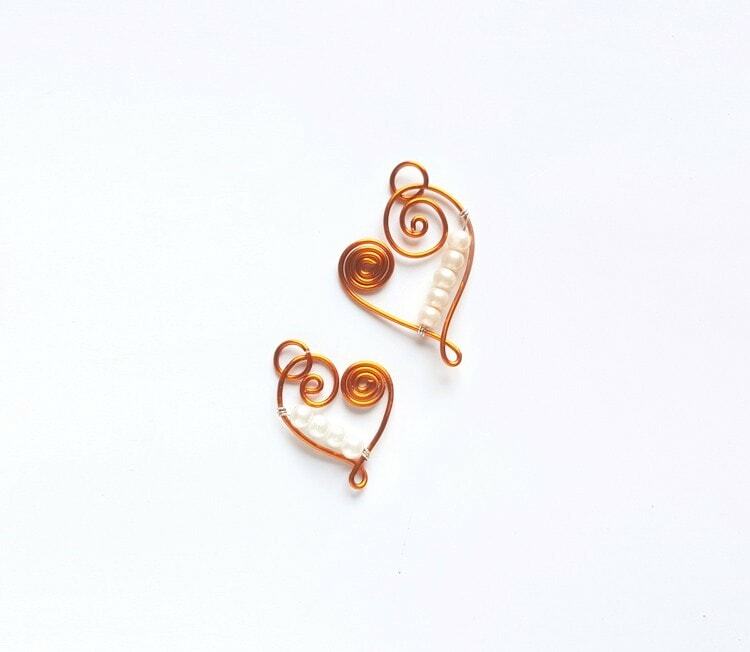 So, choose a silver wire or copper wire if you’d like. There are even colorful wires for matching necklaces that will really be unique, so you can choose her favorite color. Customize your beads, too. Instead of pearl beads, consider colorful glass beads. Or metal beads. Keep one color, or mix and match colors to represent birthstones for children’s birthdays.